Autism has become more of a prevalent issue in the USA in recent years. About one in 68 children born in this country are eventually diagnosed with it. There is a wide-ranging autism spectrum, and each child is affected differently. 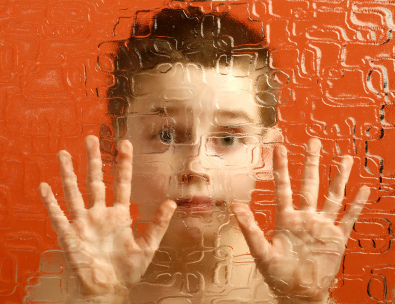 Autism spectrum disorder can cause significant social, communication and behavioral challenges. While there have been significant improvements in the treatment process and people diagnosed can now go on to live normal, healthy lives, every medical breakthrough is significant because it helps us understand it and improve the lives of those affected. ADHD is considered a less severe diagnosis, but it can still impact a child’s behavior and social skills. Children with ADHD act without thinking, are hyperactive and have trouble focusing on their tasks. They usually understand what’s expected of them but have trouble following through because they can’t sit still, pay attention or focus on details. With proper treatment, kids with ADHD can learn to successfully live with the disorder and manage their symptoms. So how are the two disorders connected? We’re still not sure, but over the years the medical community has shown that children with autism are more likely to have ADHD. In this study, which was funded mainly by the National Institutes of Health, genetically modified mice that were missing the “ptchd1” gene—suspected to be absent in some people with ADHD, autism and intellectual disabilities—were more hyperactive and easily distracted than the mice that did have the gene. The mice were trained to point their noses at a flashing light each time it was activated. When other sounds and lights were introduced to distract the mice, the mice without the Ptchd1 gene could not complete the task. Needless to say, this study certainly provides real evidence of a link between ADHD and autism. But it will take more research and experimenting with human cells to figure out if the link is consistent. The research also hints at a connection between attention disorders and the malfunction of a certain circuit in the brain (the thalamic reticular nucleus, also known as TRN), which filters information as it enters the brain. So what are the long-term goals of figuring out this link? One of them is gene therapy, an experimental technique used to treat diseases such as Alzheimer’s, ALS and cancer. But disorders like ADHD and autism therapy have never been considered for gene therapy. It is exciting that this is now a possibility when even 10 years ago it would have been seen as impossible. Another possible result is finding alternative treatments for those with ADHD. Some children do not benefit from Adderall, and unfortunately the drug has a high rate of abuse. It would be nice to have alternatives for those who need some kind of treatment but don’t do well with anything currently available. When the researchers enhanced the firing of the TRN cells in the mice with the gene deletion, they were no longer hyperactive. This could lead to more precise treatments that are less addictive than drugs like Adderall. This study also sheds some light on the people who suffer from both ADHD and autism. There may be some kind of subtype of autism and ADHD that coexist together, and there could be a special way to treat them that allows the affected people to thrive. It is an exciting time in the autism and ADHD community, and it will be interesting to see what the future holds. In the meantime, however, treatment for both ADHD and autism have come a long way. If you suspect your child may be on the autism spectrum, make an appointment with a Newport Beach child psychiatrist right away. Your child’s pediatrician will be able to help, but an autism specialist will be able to determine the best course of action as far as treatment and regulation. Also, parents of children on the autism spectrum should be on the lookout for symptoms of ADHD. While the two don’t necessarily go hand in hand, there have been enough cases of both existing simultaneously that it doesn’t hurt to be proactive.